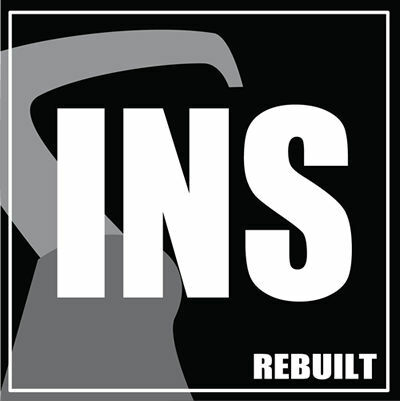 how is INS rebuilt different? Lots of companies are claiming to do rebuilds out there. How is INS rebuilt different? Our Panasonic rebuild process is focused on finding the problems in your robot at an affordable price. Everyone else will ballpark a rebuild, lets say $20,000. The rebuilder has extra funds in the quote so they can cover anything that comes along. Our process is different, we first evaluate the robot. Then we quote it. The big difference is, you are given a choice. A choice to choose how far we go on rebuild, you may want to change all preventative parts or just whats needed to for the rebuild. A choice to even continue with the rebuild, you can stop if the quote is too high and only pay the $799 evaluation. When it comes to rebuild, we are the leaders. The bullet points are easy. Our experts doing the work- only work on Panasonic robots, we have over 10,000 parts on the shelf, we completely take the robot apart, we paint with base/clear, we factory sticker, we calibrate. For us this process is a very labor intensive, with lots of moving part process. But, in the end our Panasonic rebuild process is better for it and more cost effective for the customer. 1. Missing / Damaged – These parts will be required for the rebuild. 3. Good / Preventative – These parts are in good working order, but are suggested purely on a preventative nature. The customer has the option not to include them. At this point the customer has a choice to stop and only pay the evaluation fee or proceed with the rebuild. 1. We tear the arm completely down on most robot axis. When we say completely, we mean down to bearings and castings, properly cleaned, inspected and properly greased. 2. Of course new batts and belts are installed, and any issues we find along the way are addressed. This may mean additional parts. Most of the time it’s a low cost part. 3. Robot is now dry ice blasted. 4. Final test, which is a 20 hour test. Again running at full speed and accuracy check every 30 seconds. No issues should be found, but if something is found we address it. 5. We paint the robot with base / clear like on a new car. 6. We put on new stickers, and this is all the stickers including hash marks. 7. Robot is properly origined. INS is the only facility in the USA with a calibration table. 1. How do they quote, just a ballpark or a specific line item quote? We don't ballpark, you pay for what you need. 2. How do they test the robot? 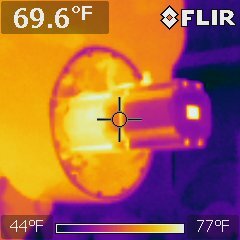 Our evaluation consists of 20hr initial test, repeatability checks, and thermal camera. 3. What are they actually doing? Are they taking apart the robot all the way down to castings or just replacing stuff. A 50 pt checklist means they are just checking things, this is not a rebuild. Are they actually dissembling the robot? 4. Who's doing the work? Our techs are factory trained and all they do everyday is Panasonic industrial robotics. Your robot is not an experiment or learning experience for us. 5. How are they cleaning the robot? Just a wipe down, sandblasting, or even power washing. NEVER sand blast or power wash a robot. Many will say they are sealed, but you will still get sand or water in the drives and damage them. We dry ice blast everything. This is the safest process to clean a robot. 6. Do they have parts? INS has over 10,000 parts on the shelf (3000 new) and over 50 donar robots. We will have what is needed to rebuild your robot. 7. Do they paint the robot? INS paints the robot with basecoat / clearcoat like you would a car. This is not a rattle can paint job. 8. Do they replace Stickers? INS replaces all the sticker per factory spec. This includes the origin stickers that most forget. 9. How they set origin after rebuild? INS uses a proprietary factory process to set origin after rebuild. No one in the USA uses this process or will have results as accurate as we do.